Many people say "I would only run if I was being chased"
The Wild Coast stretches along the Eastern Cape province of South Africa. To its east can be found the Shipwreck Coast and to its west the Sunshine Coast. Similar to its easterly neighbour the Wild Coast features plenty of shipwrecks, but I was hoping to see it bathed in sunshine as per its westerly neighbour. The Wild Coast is difficult to visit, with no coastal road running along it. Instead it can only be accessed at a few points by driving over rough roads, and often for long distances from the inland N2 highway. Therefore the best way to view it, and the only way to experience it in its entirety, is on foot. 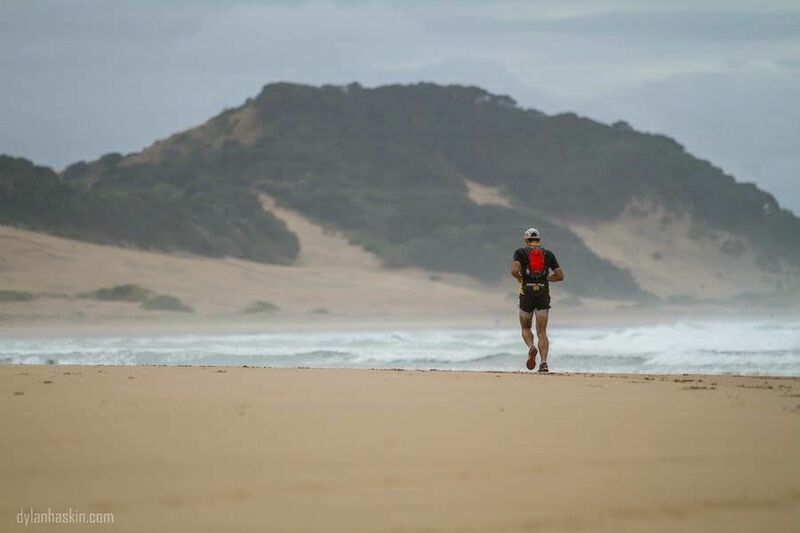 The Wildcoast Wildrun is a 3-day 112-km race that makes just such an experience possible. The Wildcoast Wildrun was my second of three races over three consecutive weekends. I had completed a 50-km mountain race at Mont-aux-Sources the previous weekend (view that race report here), and would face my shortest (but possibly toughest) challenge the following weekend in the trail marathon that is the Otter Run. I had arrived planning to take it easy since I wanted to push for a good result the following weekend, with the Otter Run attracting a number of world-class athletes as well as the cream of the South African trail running scene. However my friends joining me at the race were extremely persistent that I should win it, so I pandered to them slightly by deciding to run at least the first day at a firm, but not flat out, pace. The weather forecast for day one was luckily not too wild, with an overcast day but no rain forecast. After catching a ferry across the mouth of the Kei River we set off from the other side. The race does not follow a marked route, with runners able to select any course to reach the single checkpoint and then finish line on each day. Day one would take us from Kei Mouth, the town at the mouth of the Kei River, through to our accommodation for the night at Kob Inn, a distance of 44 km. I set off along the beach with two other runners while the rest of the field rapidly dropped behind. An unknown runner was setting a brisk pace up front while I slotted into third behind Clinton, a runner I had been introduced to at the bar the previous evening. I settled into my own pace over the first 5-6 km of challenging soft sand and rocky terrain, and the gaps slowly grew between first and second, and then second back to me. I wanted to keep Clinton in sight if possible, since he had run the race previously and should therefore be familiar with the best routes. But the gap slowly grew and I could only see either of the runners ahead on the long stretches of beach. After the initial challenging terrain it eased into simpler sections of hard sand, with occasional rocky headlands to negotiate, with options to head slightly inland to follow well-trodden cow paths.